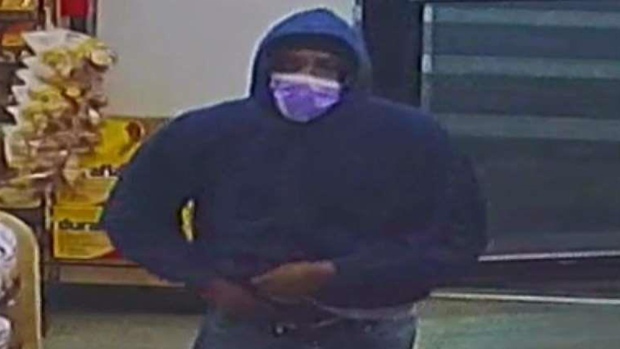 A man accused of holding up a string of convenience stores on Long Island turned himself in to police after his mother recognized him from surveillance photos used in local media reports about the robberies, officials said. Suffolk County District Attorney Timothy D. Sini said 50-year-old Marchell Rountree, of Bellport, turned himself in Monday. Rountree is accused of holding up five convenience stores and gas stations between Feb. 17 and April 28. Police are on the hunt for a thief with a very specific disguise. Wale Aliyu reports from East Patchogue. After allegedly robbing a 7-Eleven in East Patchogue and then a Speedway in Yaphank on Feb. 25, Roundtree returned to the same East Patchogue 7-Eleven on April 21, officials said. Three days later, a Valero in East Patchogue was robbed and on Saturday a 7-Eleven in Holbrook was robbed. In all five robberies, Roundtree used a surgical mask, gloves and brandished what appeared to be a gun. 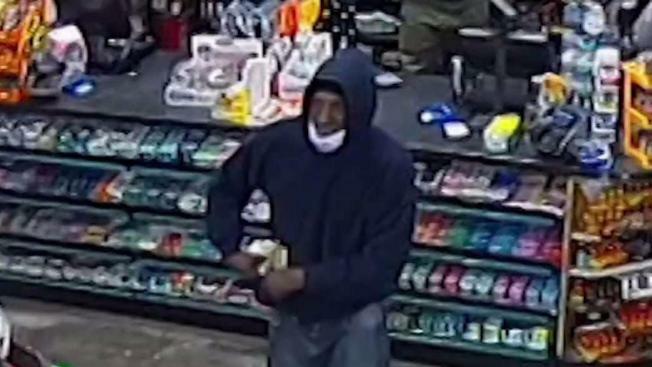 During the Valero robbery Roundtree's mask slips down, revealing most of his face, video shows. He was charged with five counts of first-degree robbery and was being held Tuesday on $125,000 cash or $2,590,000 bond, Sini said. It wasn’t clear if Rountree had an attorney who could comment on the charges.